"It seems likely that the punishment inflicted on the enemy [has] reduced his offensive power and brought nearer the day when we shall be able to count on effective naval superiority in the Pacific." The Nation’s editorials during the early years of World War II are unlike anything else in the magazine’s archives, for it was the only major American war the magazine supported enthusiastically and almost unequivocally. A future scholar unfamiliar with The Nation and with the temper of the times could be forgiven for mistaking many of its editorials during World War II for those of a magazine devoted entirely to mapping out skirmishes and battles, victories and routs, down to the most technical minutiae of depoliticized military affairs. It was all the result, however, of the magazine’s deep commitment in the late 1930s and early 1940s to the antifascist struggle, which took form in those years as a conventional military campaign in which the magazine for once believed the United States military was acting as a force for good in the world. In assessing the significance of the Battle of Midway we cannot, pending further details, go beyond the cautious claims implied by the official communiques. On the known facts it is safe to say that a Japanese attempt to seize and garrison Midway has been thwarted and that a strong enemy task force has been compelled to retreat after suffering heavy losses. Nevertheless, it seems probable that the bulk of the Japanese fleet has been able to limp off beyond the limits of safe pursuit. This means we had at Midway or within easy call defensive forces strong enough to repel effectively a formidable assault, but we were not able to send into action the kind of offensive forces required for a “kill”…. 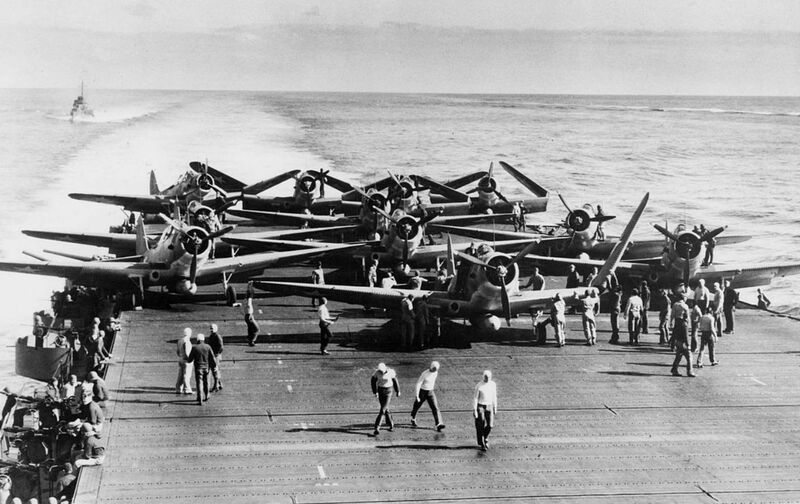 Nevertheless, it seems likely that the punishment inflicted on the enemy, together with his losses in the rather similar Battle of the Coral Sea, have reduced his offensive power and brought nearer the day when we shall be able to count on effective naval superiority in the Pacific.